Welcome to Hotel Diana Malcesine. Hotel Diana Malcesine is situated in a quite and sun-filled zone at the foot of Monte Baldo, Europe's Botanical Garden, and enjoys a marvelous view of the Scaligeri Castle and Lake Garda, one of Europe's most beautiful lakes and a 5-minute walk from Malcesine centre. It offers a garden with swimming pool and sunbathing area and rooms with balconies. Each room offers satellite TV, safe and a minibar. Balconies overlook the mountains or Lake Garda. At the Diana Hotel you will also find a free car park, a bar, a free Wi-Fi area and a TV lounge. The hotel is just 500 metres from the lake's shore and close to the cable car up Monte Baldo. 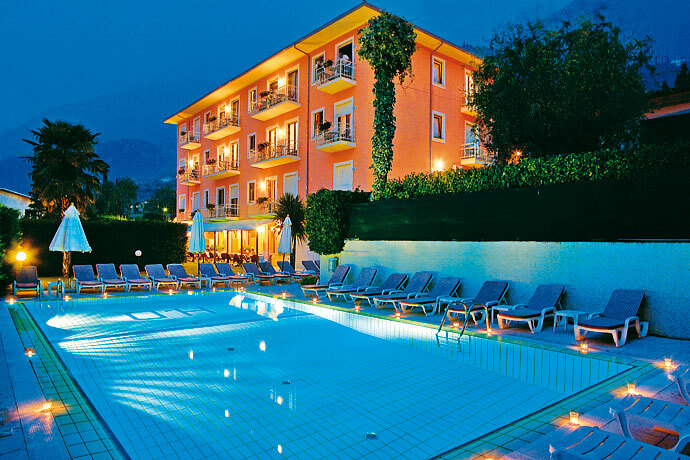 (Hotel Diana Malcesine hotels).